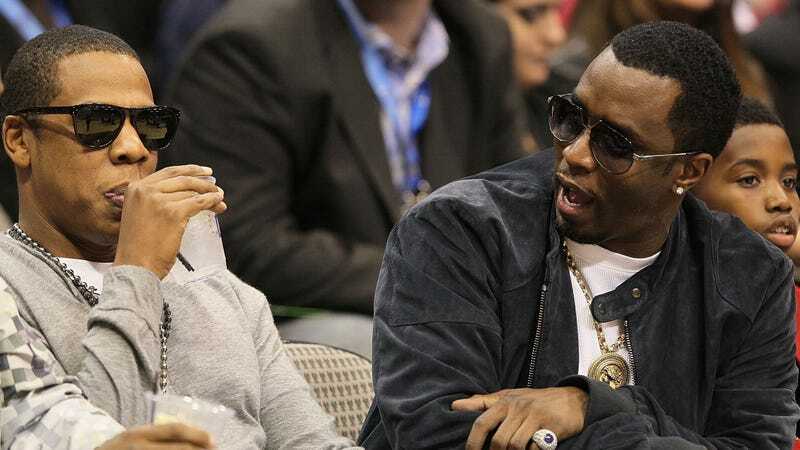 Boosted by his ownership stake in Roc Nation, Tidal, and Champagne and cognac that neither you nor I can afford, hip-hop artist and mogul Jay-Z has leapfrogged entrepreneur and white-suit aficionado Sean “Puffy, Puff Daddy, P. Diddy, Diddy, Brother Love” Combs to claim the top spot on Forbes magazine’s list of the wealthiest people in hip-hop. Even though Jigga didn’t bother to send me a thank-you card for helping him out by contributing $9.99 to Tidal just so I could hear the 4:44 album, Forbes’ annual announcement of the Forbes Five—the five richest people in hip-hop—has him squarely atop the list with a net worth of $900 million, up from the paltry sum of $810 million the previous year. The rising value of Jigga’s stakes in Armand de Brignac Champagne and cognac label D’Ussé was the major reason for the rise in his net worth, Forbes reports. I, however, suspect that it had something to do with Trump giving him a shoutout on Twitter. Diddy clocked in at No. 2 with $825 million. While the valuation of his partnership with Ciroc and his interest in Revolt TV has declined, his ventures with DeLeón Tequila and the beverage company Diageo have trended upward, leaving Combs with the ability to pay his cellphone bill. Just in case you forgot about Dre at No. 3, you shouldn’t worry—his $770 million might seem small, but a payout later this year from Apple’s purchase of Beats headphones might put him at the top of next year’s list. Depending on the value of Apple stock, Dre could receive well over $100 million, more than enough to buy a few bags of the chronic. Eminem and Drake tied for the fourth spot with $100 million apiece. Even though neither artist expects to apply for Donald Trump’s Blue Apron government-cheese boxes, Drake has equity in his own brand of liquor: whiskey label Virginia Black. Eminem, on the other hand, made most of his money the old-fashioned way: selling black music to a white audience. Birdman, Drake’s former boss at Cash Money Records, fell off the list from last year. Even though he slipped below $100 million because of liquidity issues with his company, you should still put some respeck on his name. Forbes compiles the list using the same methods used for its list of billionaires: valuing major assets, looking at publicly available financial documents, and speaking with analysts, attorneys, managers, other industry players and, often, the individuals themselves. As always, when confronted with the incredible wealth of these stars, true hip-hop heads asked us to remind you that J. Cole went platinum with no features.